The spacious soft nappa leather Camden shopper, showcases Rag and bone's testament to the modern woman on the run. 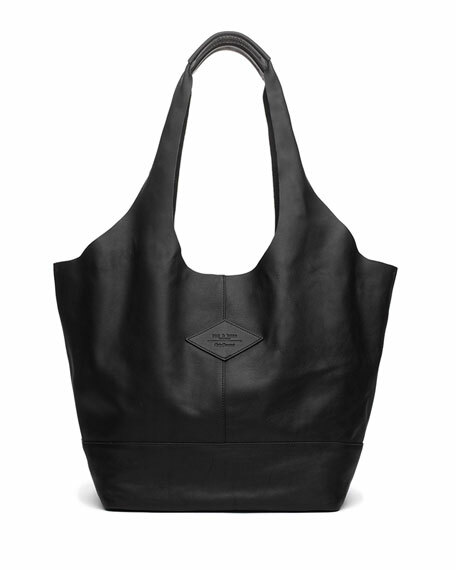 Rag & Bone "Camden" shopper in soft napa leather. 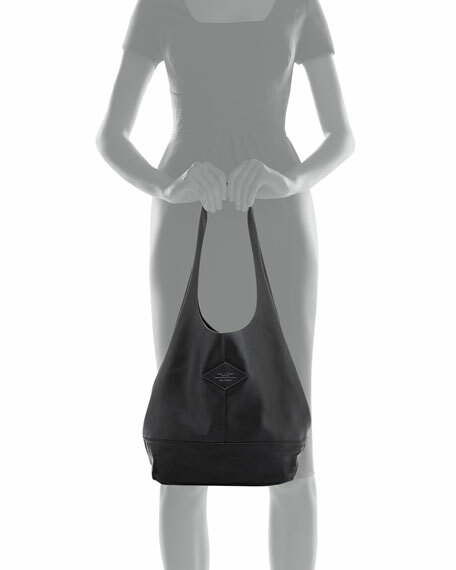 12"H x 19.5"W x 7.5"D.
Brunello Cucinelli shopper tote bag in glossy calf leather. Flat top handles. Recessed zip top closure. Exterior, monili trim at top front. Interior, one zip and one slip pocket. Feet protect bottom of bag. 14.96"H x 21.65"W x 5.91"D.
Fendi "Runaway" small PVC shopping tote bag in allover FF embossing. Leather trim and golden hardware. Round cutout top handles. Fendi "Runaway" small PVC shopping tote bag in allover FF embossing. Leather trim and golden hardware. Round cutout top handles. Removable flat shoulder strap. Open top; magnetic tab closure. Exterior, front zip pocket. 8.3"H x 11"W x 4.3"D. Made in Italy. 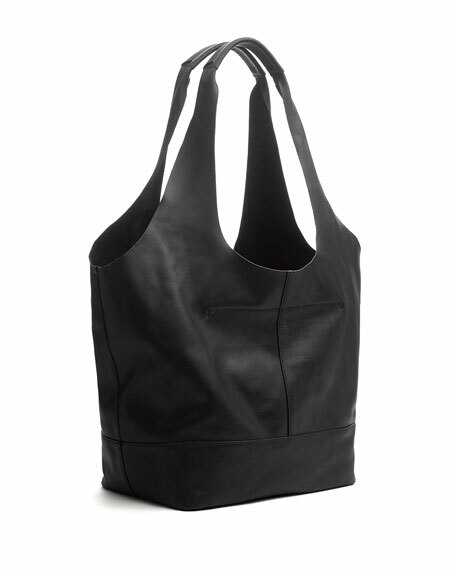 Mansur Gavriel oversized tote bag in Italian lamb leather. Thin tote shoulder straps. Contrast coated interior. Removable leashed zip pouch. Mansur Gavriel oversized tote bag in Italian lamb leather. Thin tote shoulder straps. Contrast coated interior. Removable leashed zip pouch. Embossed logo at bottom center. 12.99"H x 15.35"W x 6.89. Made in Italy.